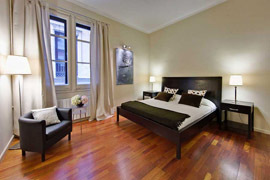 This large apartment in Barcelona is housed in a traditional 19th-century building located in the heart of the Gothic Quarter. 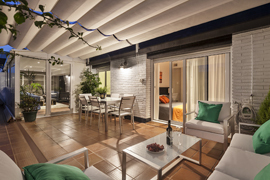 Exclusive and elegant apartment in Barcelona with beautiful terrace. 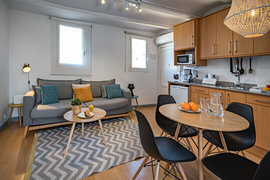 Located in a quiet area well connected by public transport. 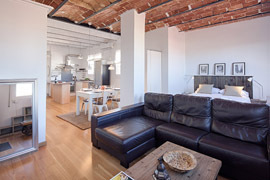 Modern and cozy attic apartment in Barcelona with large terrace and great city views. 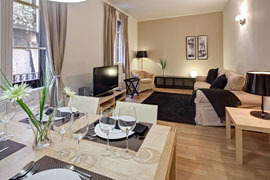 Ideal for couples or for business trip. 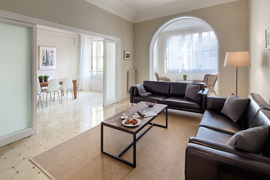 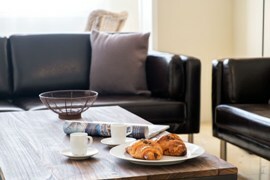 Elegant apartment in Barcelona perfect for a large family or group of friends. 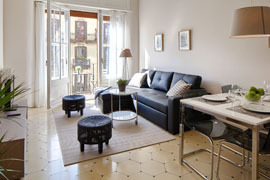 Just few minute’s from Arc de Triomf. 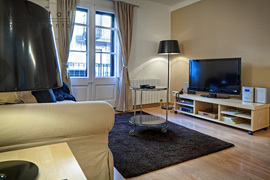 Wonderful apartment in Barcelona with nice terrace and great location. 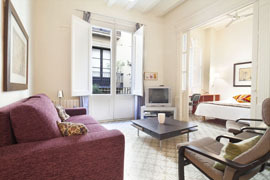 A few minutes’ walk from Arc de Triomf. 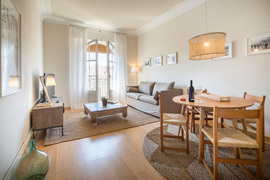 This superior Barcelona apartment offers 3 lovely bedrooms, 2 bathrooms and a living space with balconies facing Banys Nous Street.